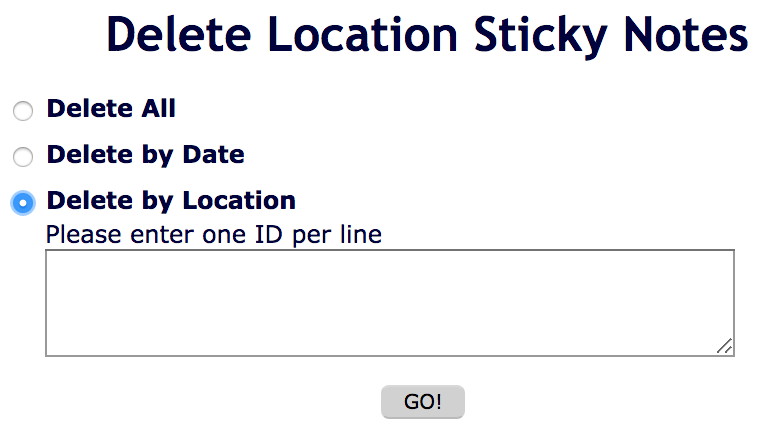 Take Charge Of Your Location Stickies! January in these parts always brings three things: New SASSIE features, subfreezing temperatures, and the New England Patriots in the SUPERBOWL (OK, OK, at least the AFC Championship)! Overall, one of these is generally considered good, one bad and the other EXTREMELY good or bad (depending on your football allegiances)! This week we’re finally remedying that mistake! While our support department will GREATLY miss doing these location sticky manipulations for you, we hope you’ll enjoy being empowered to do them instantly!